A visual haiku about childhood, simplicity and inner selves. 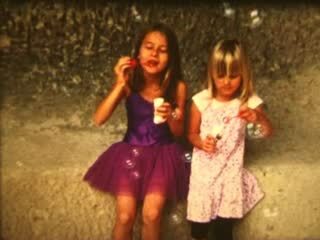 A LA RECHERCHE D'ESPACE PERDU started as a small experiment in the summer of 2011 and intends to become a long-term Super 8 mm film project, following two 6-years old girls from a Hungarian village as they grow up, year by year. We intend to surprise a small piece of the world not as a socio-political tool conquered by what Alvin Toffler used to call transience, not even as a trichotomy of what Pierre Bourdieu used to call "fast food, fast love, fast thought", but as a innerly-paced playground for freedom and simplicity.